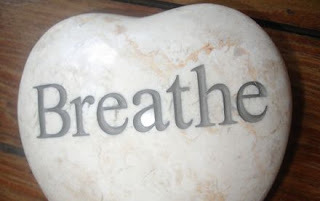 I interrupt this breathing time because on May 20th, I think about breathing more than most other days in my life and I thank God for each breath. On May 20, 2004 – I almost quit breathing when the motorhome I was traveling in was in an accident with five large trucks. My body was no match for the trucks, so it was beat up – badly. I had a zillion injuries and was kept in a medical coma for ten days and on major pain killers, including morphine, for a few weeks. Morphine and my brain don’t mix well – I had many hallucinations. Hallucinations are different from dreams because they mix with reality and you can’t tell the difference between them and reality. I am in a small room. I am sick. I am receiving some kind of treatment which consists of getting fluid through an IV. I’m in an easy chair. I don’t want to stay here, but I need to. There is a young man in the chair next to me. He is also sick and receiving some type of treatment. I wonder why he is in my room. I know there is a nurse in the room, but I never see her. I also don’t really hear her voice, but somehow she communicates with me. The nurse lets me know to take deep breaths. As I focus on doing that, I see this large pink object floating near me. It resembles a jellyfish. As I take deep breaths, it inflates and deflates. Somehow I know that I need to focus on keeping the ‘jellyfish’ full. If I allow my breathing to become shallow, the jellyfish looks like it will shrivel up and drop to the floor. It is hard work to stay focused on breathing deep. I am really tired. I forget about the jellyfish for a few minutes. Then I panic when I remember it. I am worried that it will deflate. I’m not sure what will happen if it does, but I know it is not good. I am relieved when I see it hovering nearby. I force myself to stay focused on keeping the jellyfish full. I was in a hospital bed, not an easy chair. I had a private room in ICU, so no young man was next to me. As for the ‘jellyfish’, I wonder if that represented my lung. My right lung had collapsed due to a broken rib puncturing it and the nurses and doctors repeatedly told me to breathe deep. My early post-accident memory is blurry, so I don’t know exactly when I had this hallucination. I assume it was about two weeks post-accident after I was taken off the ventilator. My husband said the nurses would often remind me to breathe deep. Celebrate breathing today – if necessary, slow down to take some deep breaths through out the day. *My memoir will have more of my hallucinations – ranging from funny to political to terrifying. the hallucinations sound awful! great reminder to not take a single breath for granted today. I cannot even imagine what you went through and are still going through. It makes my few little problems seem so insignificant! I'm glad you're still here inspiring us!